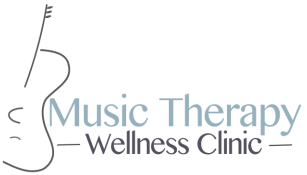 Music Therapy Wellness Clinic (formerly Music Plus) was established in 2008 by Sarah Punch, a University of Queensland graduate with a Master of Music Therapy degree & background in voice performance. Sarah has previously been employed at The Royal Children's Hospital & Monash Health and has experience working with adults and children with a diverse range of needs including adolescent mental health, eating disorders, early intervention, children with special needs, oncology, brain injury, palliative care, parent-infant bonding as well as dementia/aged care. Sarah's passion to help people on their wellness journey and observation of the lack of quality private services in Melbourne fuelled her desire to re-launch the Music Therapy Wellness Clinic in 2015. Music therapy is the intentional use of music by a university trained professional who is registered with the Australian Music Therapy Association Inc. Registered music therapists draw on an extensive body of research and are bound by a code of ethics that informs their practice. Making sure you enjoy yourself is important to us as it will assist us in helping you achieve your wellness goals. You may be encouraged to step outside of your comfort zone at times but will never be forced to do something that doesn't feel right. It's a common misperception that you need to be able to sing or play an instrument to benefit from music therapy. You absolutely do not. Music therapy usually does involve active music making but it's about finding what you love & enjoy, and using this as a foundation for targeting non-musical goals (i.e. communication, expressing thoughts/feelings, development). If you can sing or play an instrument that's wonderful, but it's not necessary. Feeling a little nervous or apprehensive before a session is completely normal but rest assured your therapist will aim to make things as comfortable as possible for you. Due to the non-threatening nature of music, we often find people relax and begin to enjoy themselves pretty soon into the session! ​The Music Therapy Wellness Clinic is a mobile service meaning we make your life easier by traveling to you. All sessions take place in the home or other appropriate location (i.e. aged care, childcare centre, school or medical facility). Please make sure you are able to provide an appropriate space for sessions to occur & consider potential interruptions or need for privacy/confidentiality. Our fees vary depending on the type of session you require and your location. Please contact us and we'll be happy to give you a quote. Sessions generally range from $130-$180 plus GST. “Music can lift us out of depression or move us to tears - it is a remedy, a tonic, orange juice for the ear. But for many of my neurological patients, music is even more - it can provide access, even when no medication can, to movement, to speech, to life.